Litecraft was recently featured on ohgoshblog.co.uk, a blog ran by Emma from Sheffield. At Oh Gosh Blog, Emma writes about everything from lifestyle and crafts to home decor and interiors. As she is currently in the process of moving house and planning her new home decor, furniture and accessories. 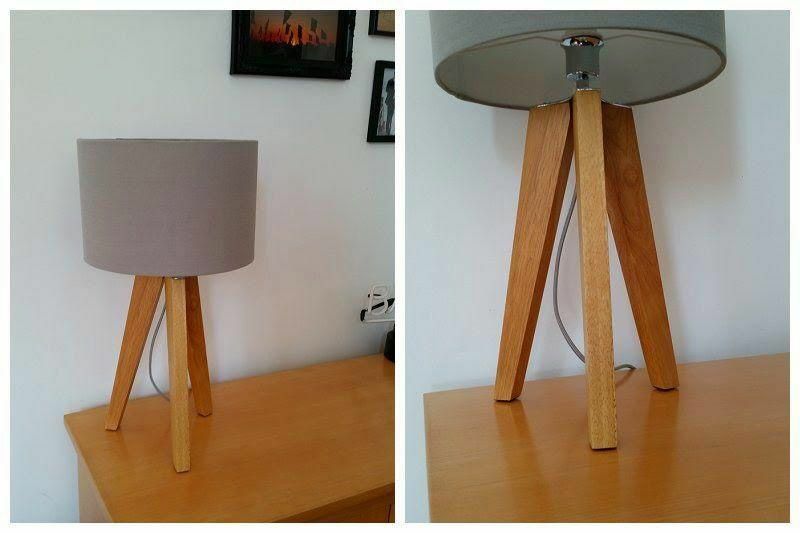 We sent Emma one of our stylish tripod table lamps, which she reviewed on her blog. The tripod lamp features three natural wood legs and a plain grey drum shade. It is finished with polished chrome details and a matching grey power cord for a luxurious touch. “I have had my eye on a tripod lamp for the longest time but I’d not found one that I’d really fallen in love with until I spotted this beauty from Litecraft. The lamp currently looks great in Emma’s dining room but will soon take pride of place in the hallway of her new home. Tripod lamps are a huge interior lighting trend for 2014. They have a modern and versatile appeal that adds a touch of effortless style to a contemporary space. With their minimalist style, tripod lamps are perfect for creating an “industrial-chic” look. The three-legged design not only looks great, but gives the lamp a sturdy base. Featuring natural wood and a soft grey shade, this tripod lamp has a neutral appeal that will look fabulous in any room. We recommend taking inspiration from Emma at Oh Gosh Blog and making a tripod lamp the main feature of a sideboard or table in a living room or hallway. Alternatively, place a lamp on either side of the bed for a well balanced look in the bedroom. Tripod lamps add much needed accent lighting to a room, providing the perfect ambience and a soft, warm glow. On a desk or a side table, they can also be used as a handy task lamp for reading. Table lamps are an essential element to a home. Every room needs a table lamp or two to create a welcoming atmosphere and to tie together the lighting and decorative elements. To get the look from ohgoshblog.co.uk, view our range of table lamps here. We have a range of contemporary and stylish table lamps, including tripod lamps available. 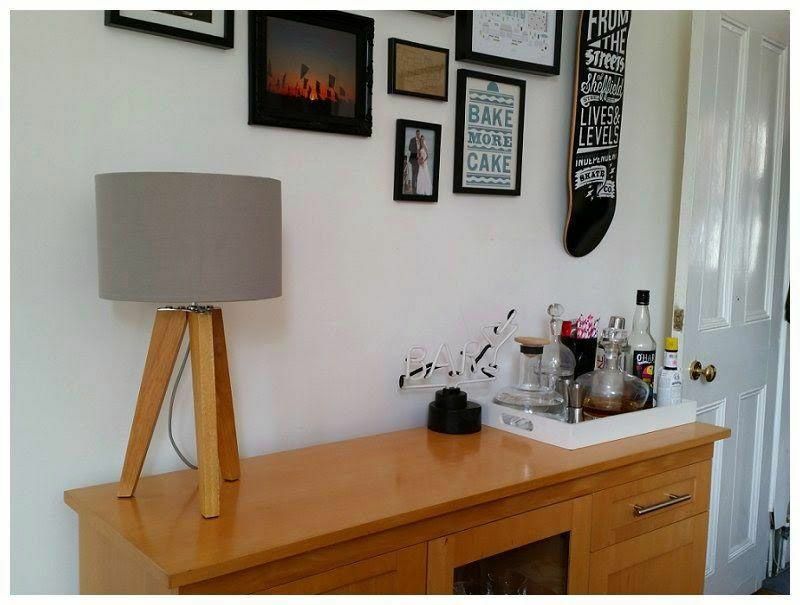 We think the tripod lamp looks perfect in Emma’s contemporary styled home. We love how Emma has taken a fairly neutral lamp and mixed it with individual pieces to create a unique look that is personal to her home. It matches perfectly with her natural wood sideboard and the modern, simplistic design complements her lovely pieces of wall art well. What do you think of our tripod table lamp? Do you like the way that Emma from Oh Gosh Blog styled it in her home?